This week's "On my mind" post that links up with Rhonda Jean is about the sewing I need to accomplish this weekend. A surprise baby shower is in the works... surprise basically to all of us, because the Mommy-to-be is in from Germany and this will be her last visit until the little one makes his arrival. So, I have a baby sling that needs to be made up tomorrow. I hope your weekend works out nicely as well. I love your sewing room. Such organisation! All the best with your baby sling. I'm sure a home made gift will be much appreciated. Dear Chas, Have a lovely weekend sewing and drinking in the moments, as you do both so well. Hello Chas! I have popped over from Rhonda's! 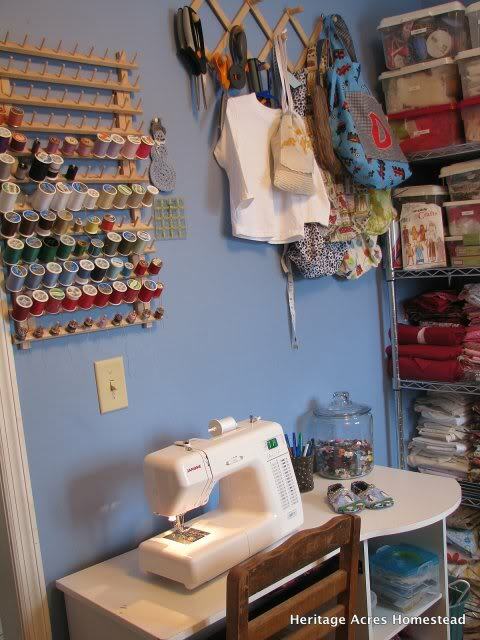 Your sewing room looks inviting and very organised!! 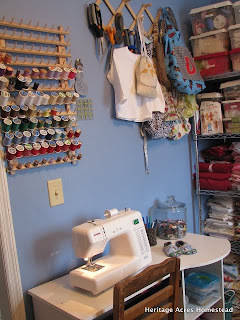 Love your sewing room too! I am going to set one up in my new homestead. What kind of machine do you use? I know basic sewing skills and want a good, affordable machine. Any recommendations?